Detail : George's eleventh solo single. This was the first single released to help promote the "George Harrison" album released just one week earlier. George finally found himself back in the charts again after almost a four year absence, albeit in the lower reaches. Part of the reason for the long gap, was that George felt he had needed a break from the music business. So in 1977 he followed his great passion of motor racing by travelling the world enjoying the World Formula One Grand Prix circuit. Ironically it was these motor racing friends who persuaded George to write again, by asking him to write a song about this noble sport. 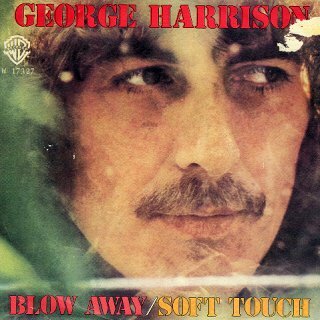 "Blow Away" was the song that George wrote for them.